Get the adjustability & strength for your 05-17 Dodge with UPR Pro-Series Billet Adjustable Front Sway Bar Links. 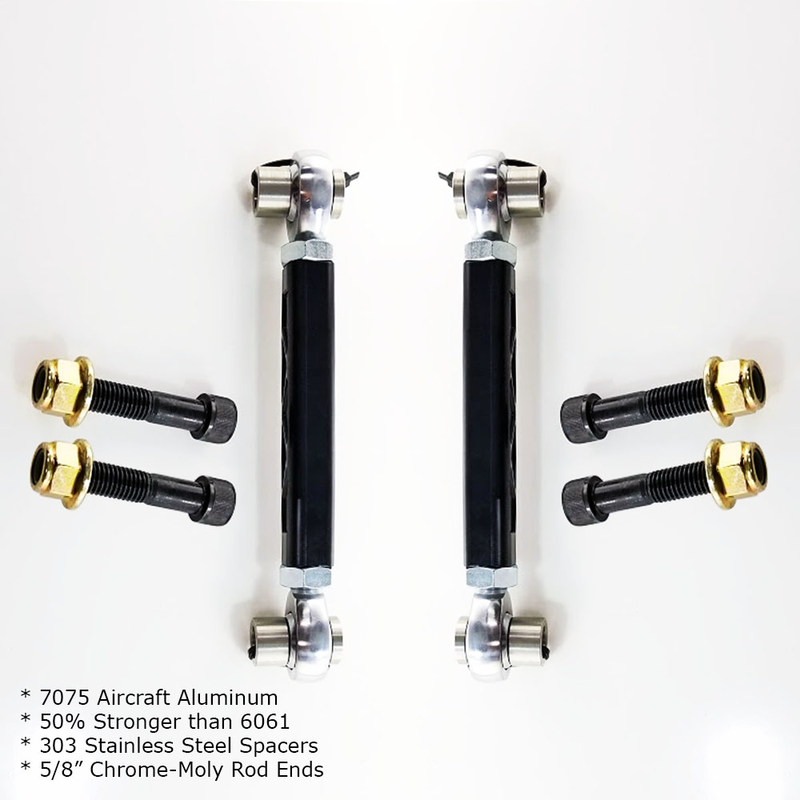 Equipped with the very best Teflon lined spherical rod ends mounted in 7075 Billet Aluminum Sway Bar Links. Pro Series adjustable links eliminates the flex of the factory links. Most companies use 6061 for their links, we use 7075 which is 50% stronger than 6061 as well as larger 5/8 inch chrome moly heim joints. Adjustable links allows for sway bar link adjustments on the car to fine tune your rear sway bar. Click Here for Instructions Installs in 20 minutes or less. 2005 2006 2007 2008 2009 2010 2011 2012 2013 2014 2015 2016 2017 Dodge Charger Challenger Magnum Chrysler 300 Hemi 5.7 6.1 6.4 SRT8 Hellcat Scatpack. No one else can stack up to the bold clean styling of our aftermarket Billet dress ups, Street Strip & Racing Suspension & Performance Parts for your late model American Muscle Car!